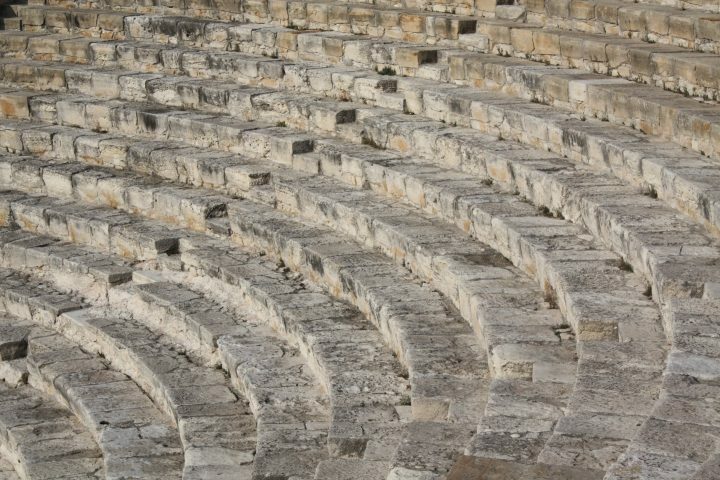 The oldest theatres in Ancient Greece were open-air theatres built on the sides of hills consisting of orchestra (the centre), skene (backstage where actors could change, originally just a tent, then a permanent structure; hence the word scenery) and koilon (the audience sitting on benches on the slopes of the hills). Later on Romans modelled their theatres on the Greek ones, but built them with arches, free-standing, no longer on slopes of hills and of perishable materials, being afraid theatres would become like in Athens a political arena of democracy. In the Middle Ages theatres disappeared as the result of the prohibition of heathen representations. Representations started again in Renaissance. 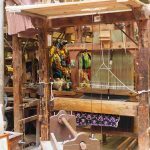 These were organized by Compagnie della Calza in the courtyards of privately owned buildings of sovereigns and nobles. The very first covered theatre was built 1580 in Vicenza by Scamozzi based on plans by Palladio, the Teatro Olimpico, magnificent, yet intimate with its 400 seats. 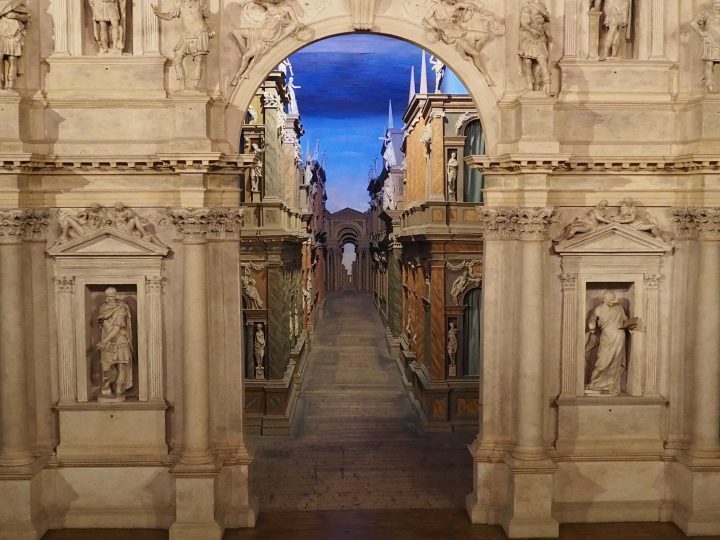 Did you ever walk into the Teatro Olimpico in Vicenza? If not, you should as it is a breathtaking experience. When you step into this theatre, you immediately sense you are reaching a unique captivating place, you breathe the suspended atmosphere, you listen to the crackling wood under your feet and are struck by the backdrop of the stage waiting there for you to be stunned 450 years after it was built. 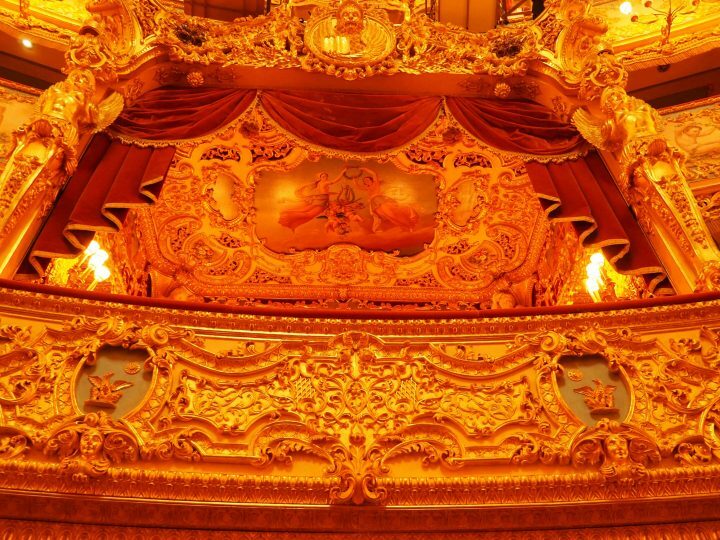 What makes this amazing theatre unique? It is the oldest existing indoor operating theatre. 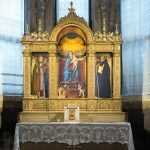 But it was built for a cultural association, Accademia Olimpica, it was not yet a real public one. Over twenty theatres existed in Venice between the 16th and 17th century, bearing names of families (Grimani, Vendramin, Tron) or parishes (San Cassiano, San Giovanni Grisostomo). Unfortunately very few images survive of their interiors. Theatres meant actors and managers (impresario), the last ones were hired externally by the company in order to earn money. This explains why families were running these places and trying to run more… Venetians always cared about their profit and income. As the impresario became a real professional, the same occurred to actors; the actors of Compagnie della Calza were replaced by real professional actors. 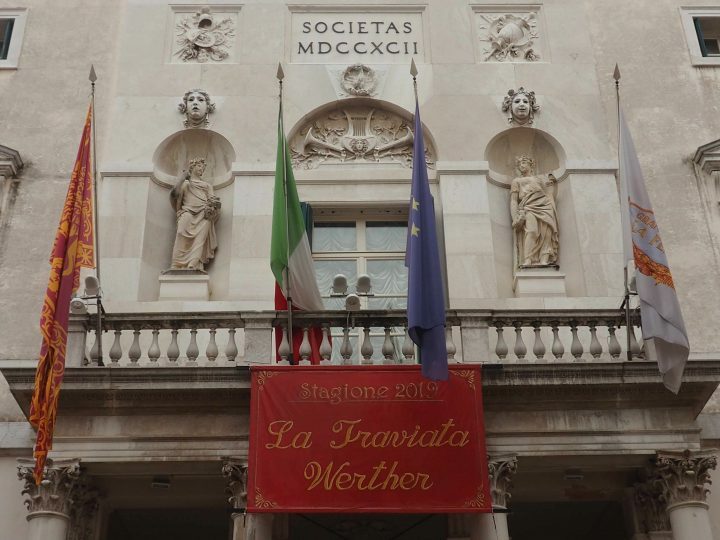 On one side the Venetian public was expert, competent, passionate and often a severe judge, on the other the Venetian state controlled the rightness and morality of contents but in a mitigated way allowing several representations, thus a proliferation of events, operas and theatres. A law in 1756 had even to limit their number. 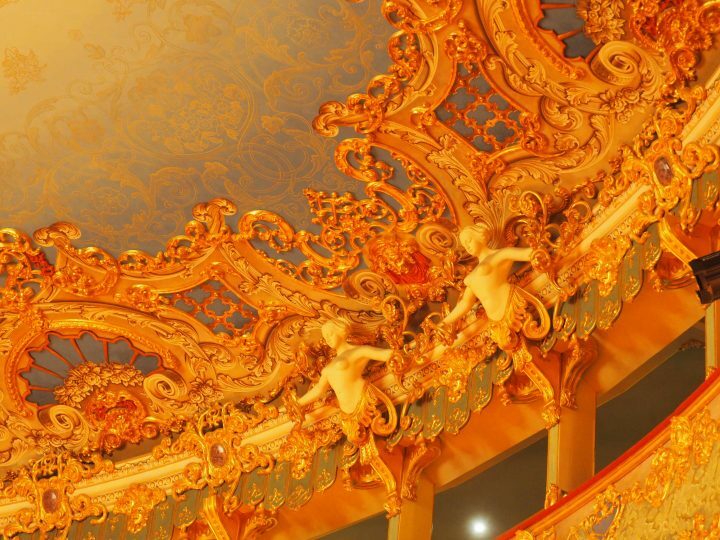 We are now going to step into one of these: the sumptuous La Fenice Theatre. 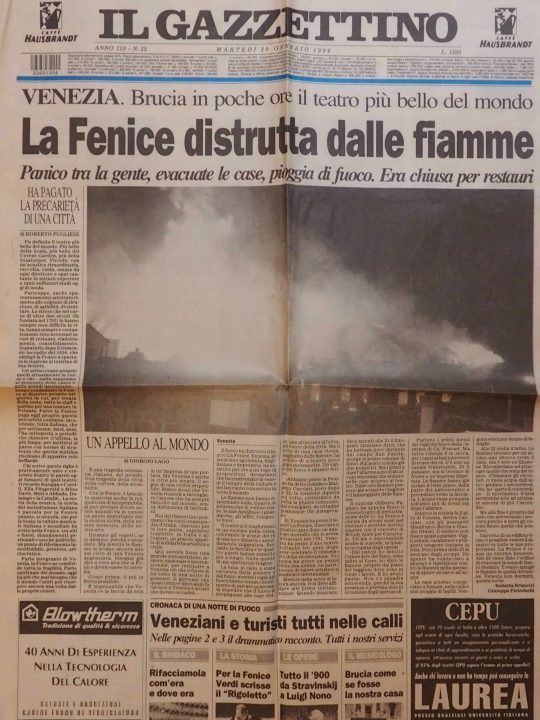 La Fenice means the phoenix, the mythological bird rising from its own ashes after having built a nest with cinnamon twigs; a very appropriate name, an evil omen as we are going to see. 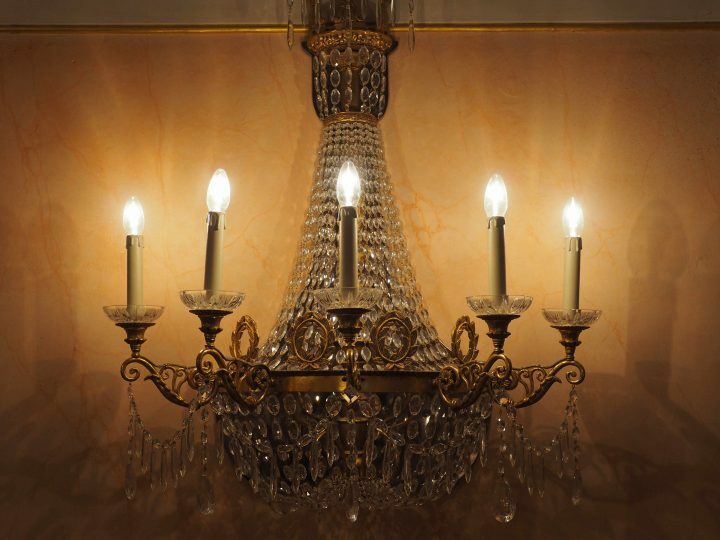 It was built in the late 18th century by a noble society that had left the close nearby San Benedetto theatre. 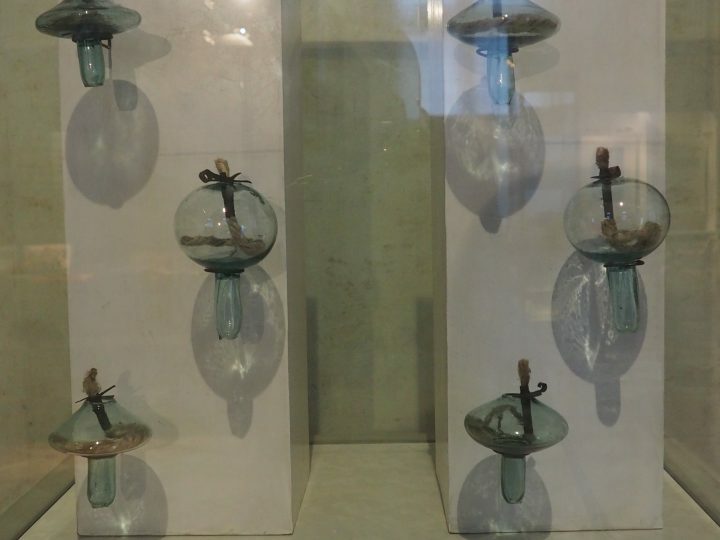 A new island was chosen by buying buildings from the Scuola di San Rocco, a competition was opened, 28 projects were presented after competitors had paid money and sponsored a golden coin, and within the 9 wooden models presented the only one surviving today is the one by Giannantonio Selva, who was also the winner of the competition. 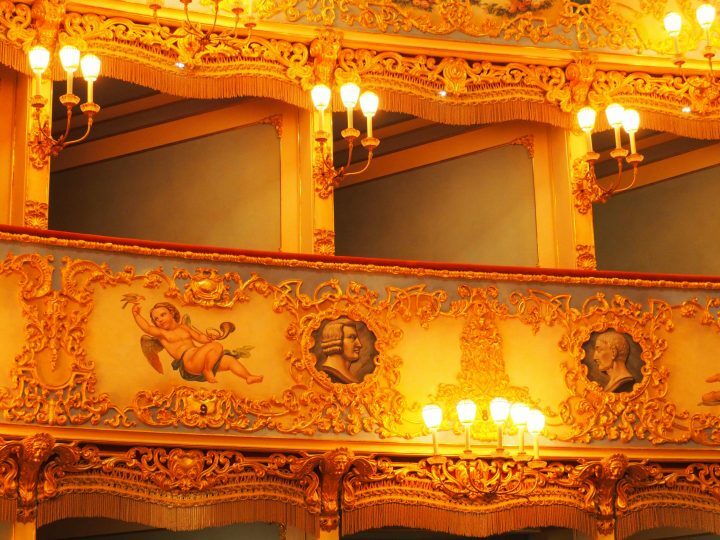 The legendary La Fenice was opened 1792 on 16th May on Ascension Sunday and was by the way the first theatre in Venice to have a real facade. Often theatres in Venice were rebuilt after fires, extending pre-existing buildings, but rarely built ex novo, la Fenice was the exception, built ex novo and with a real façade. 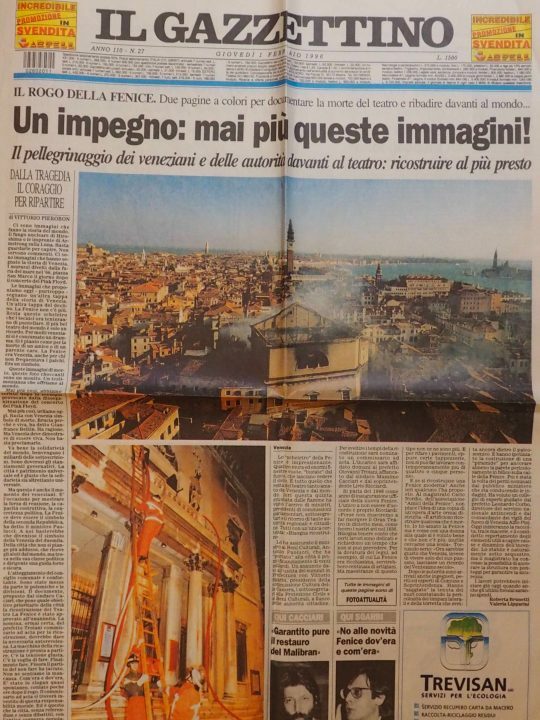 Gazzetta Urbana Veneta, one of the first newspapers dealing with local news, referred about ‘chiarezza di tinte, armonia, solidità e leggerezza’ and praising the 174 identical chairs reflecting the ideals of the Venetian Republic duplicated also here. 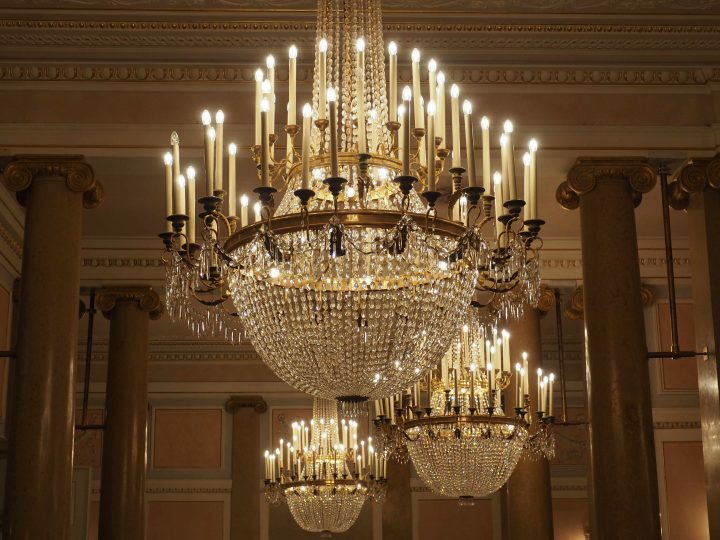 In the FOYER glittering chandeliers divert our attention from the few original elements that survive nowadays. The breathtaking THEATRE HALL was unfortunately entirely rebuilt after 1996. 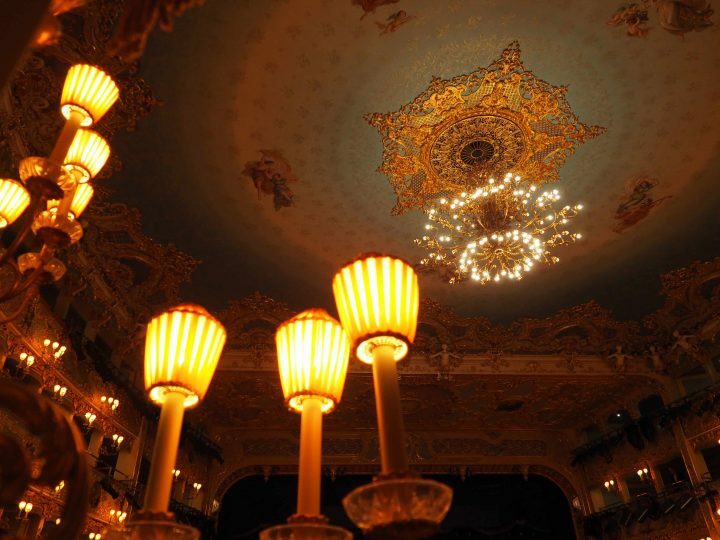 One first fire destroyed in 1836 La Fenice (with the exception of foyer and Apollo rooms). Tommaso and Giovan Battista Meduna were commissioned with the reconstruction, but alas a second fire hit La Fenice in 1996. What happened on 29th January 1996? Arson. Two electricians, subcontractors, were rewiring the theatre and to avoid paying penalty fees for running late they set the fire deliberately . 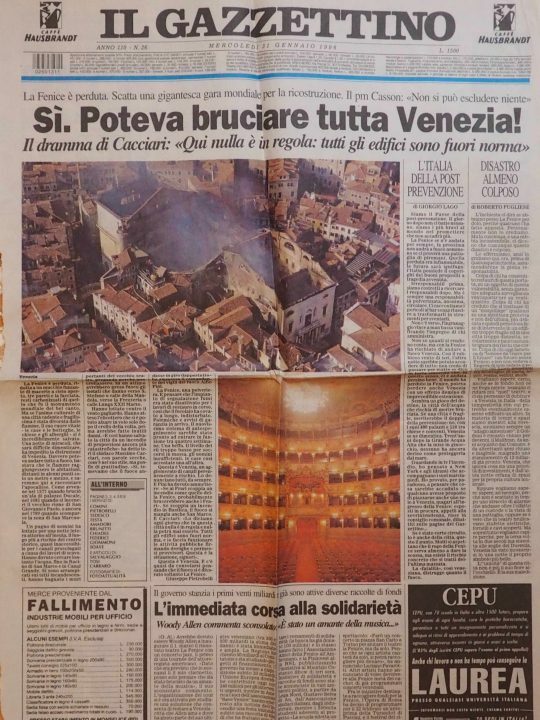 2 days after the city council decided unanimously in a special session to rebuilt it ‘come era, dove era’ in consideration of the importance of La Fenice. In a tour you will learn about the money sponsored, how a contest was started a few months laters, 6 companies presented their project, how the reconstruction commission was given to Impegilo and the project by Gae Aulenti, but was contested by Holzman and AT. 7 months later work was suspended. Dispute over the contract began. In March 1999 Holzmann took over with a project by Aldo Rossi and finally in 2001 Saicam. Passing by the original wooden model of Selva we will reach the ROYAL BOX. This was the place of honour planned for Napoleon’s visit when he spent 10 days in Venice in December 1807; the royal box was first built temporarily, then became a permanent part. The new Loggia was originally decorated with the Triumph of Apollo according to a project of Giuseppe Borsato, a clear allusion to Napoleon’s power as had just be done in Milan. 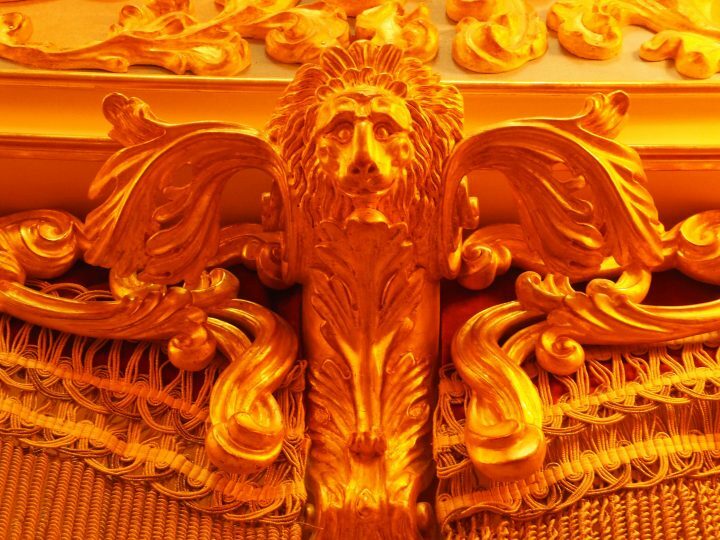 During the uproars 1848 the Royal Box was destroyed and rebuilt one year later and was destroyed by the fire of 1996, so it underwent several redecorations. 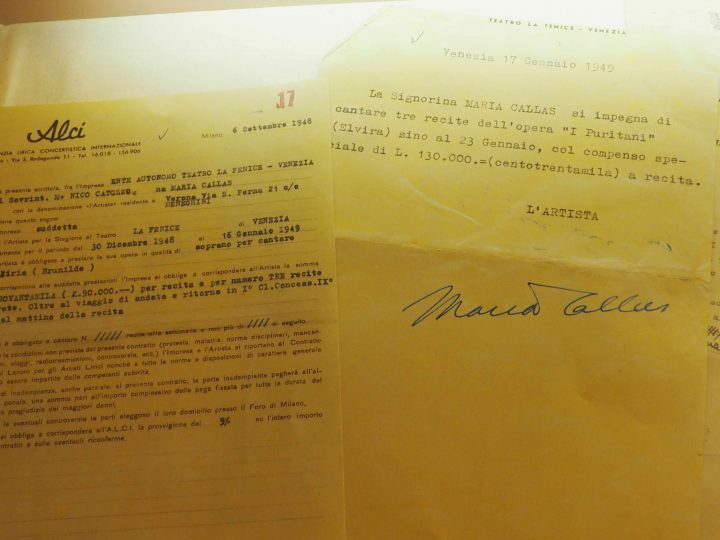 We will discuss also MARIA CALLAS ‘s performances at La Fenice and we will finish in the APOLLINEAN ROOMS. 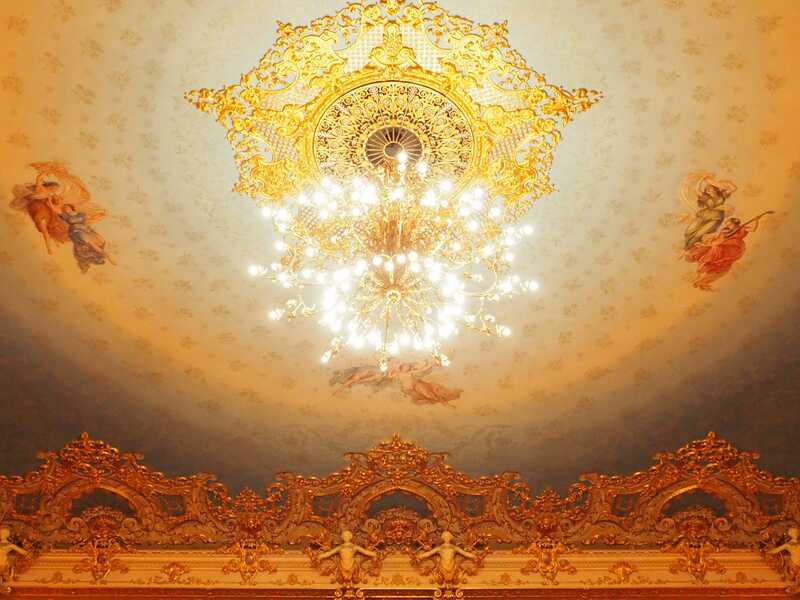 If you are not able to experience a live performance, a rehearsal or attend the New Year’s concert then let us tour La Fenice together. 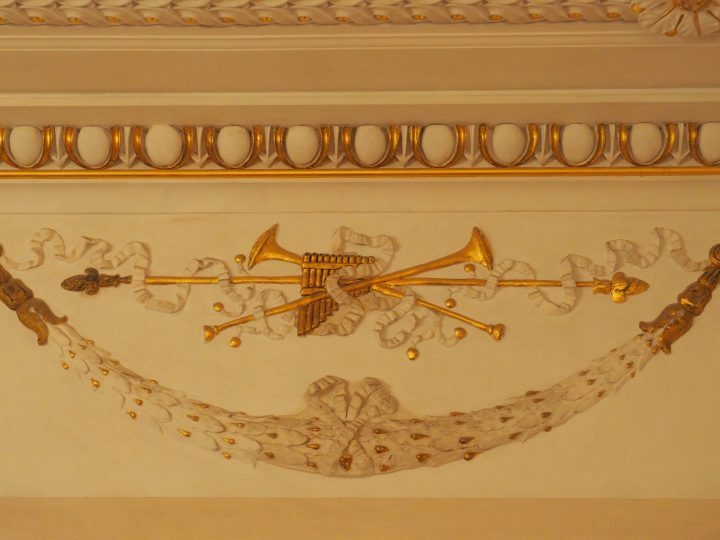 On a tour we will admire the 5 tiers of boxes, with in between the tiers monochrome acanthus leaves, music instruments, profiles of poets and putti with plaques of the first operas represented here. 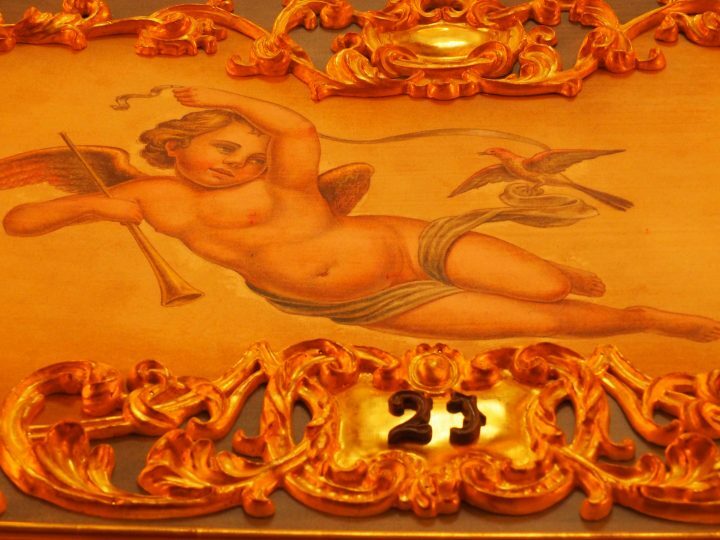 We will talk about the materials, 70% was made of papier mache, the rest wood and the 22 nereids of the ceiling and the 4 putti in the royal box in plaster. Last but not least we will discuss differences with the previous theatre, the different colours of chairs, tiers of boxes, the missing carpet and metal bars, then the new seats and the underground space, the rounded frame of the stage and the second stage and modern equipment.